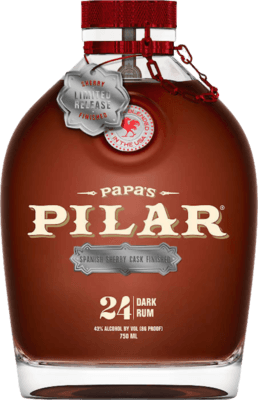 Have you found an online vendor selling Papas Pilar Spanish Sherry Cask Finished 24-Year? The standard Pilar is very sweet. This one is more balanced with nods to all of its brothers best attributes. Vanilla and almond. If you see it, buy it. You won’t be disappointed! 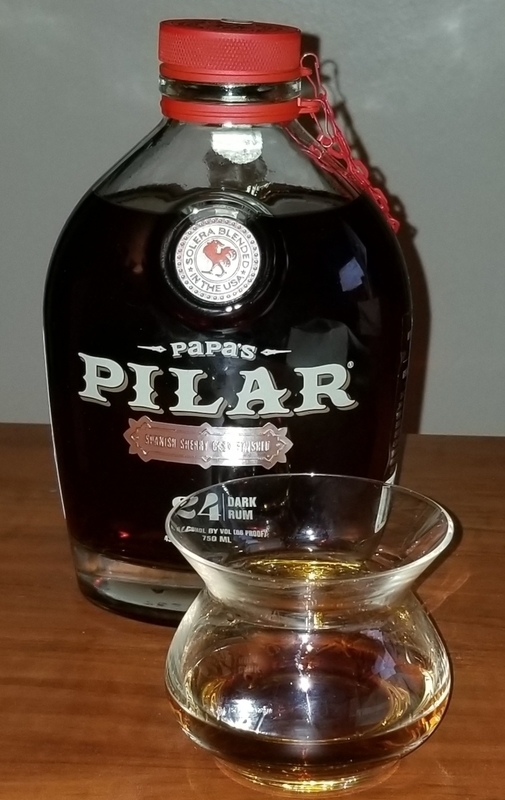 I expected this to be the best of the Papa's Pilar rums. But I just slightly prefer their Dark Rum. Interestingly, their dark rum bottle also says "Finished in Spanish Sherry Casks", so I'm not sure if there's much of a difference. They're both very similar, but I'd say the Dark just tastes a little smoother to me. This smells and tastes of vanilla, maple, almond, cinnamon, and a touch of sherry. But since the dark seemed a tad smoother, I slightly prefer that one. Recommended by a friend, I couldn't wait to try it. Poured neat, it had a slightly sweet aroma with a hint of almond. The first sip is very smooth, with just a little warmth and the sweetness of the sherry coming through. It's not syrupy sweet. I liked the hint of sweetness. I added an ice cube, and it really brought out some of the flavors. More oak and spice, and just a little more of that almond-like sweetness. A good sipper, for sure. A really superb rum. Tastes more expensive than it is. relativt torr sherry. Ek. Bäst av de tre helt klart, denna får ett betyg mellan 7 och 8. Good taste with a nice vanilla finish. Good as a go to drinker for a straight rum drink. If you can get your hands on this, do so. The price point is incredibly good and the rum is superior. Papa's is one of my favorites and this specialty item is a cut above. The aging in Sherry casks creates more complexity and a wonderful nose. I enjoy the mild vanilla flavors. Both the dark and the sherry cask finished are favorites of mine. Easy and extremely pleasant to sip straight up. Because it's a flavored rum, I can not rate it a 9 or 10, but it's good enough to be way up there. I reserve those ratings for straight up rums that are unflavored. Really, it's such a pleasant drink, it's a solid 8. Received this bottle as a tip from my client, I put this in the class of sweet sippers like Diplimatico, Plantation 20 or El Dorado 12. 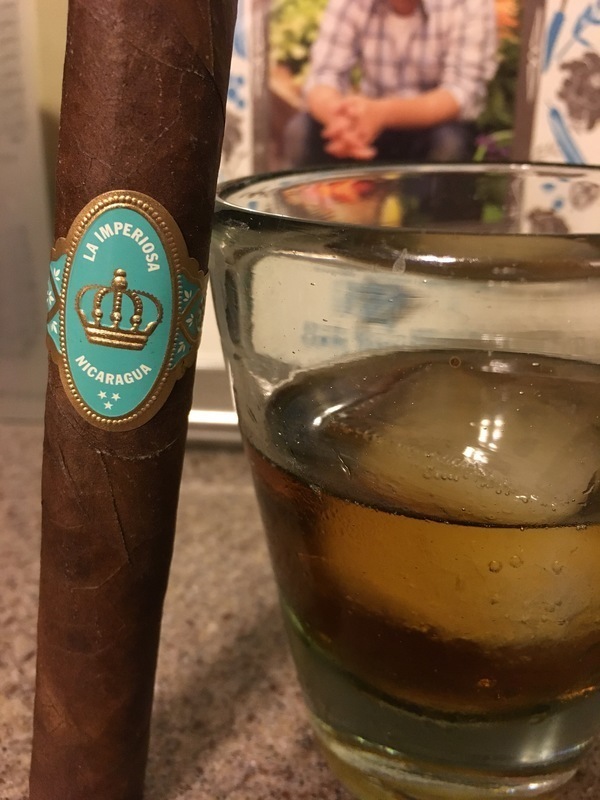 I tried it neat and with an ice cube and preferred it with ice, seemed more fruity and really opened up the sherry cask flavors. Had to wrangle the bottle to pour. Beautiful rich color.Very lovely on the nose. 86 proof. No burn. Flavor of burnt sugar, but not cloyingly sweet. Flavor lingers nicely. I loved the Pillar Dark, still have not tried the blonde although it’s half the price of the darks. I may have picked this one up simply for the red cap on the bottle, was it with the extra 6 bucks ? ¡I say yes ! This one seems a bit smoother than the previous which d finitely has a strong bourbon barrel flavor. Still starts with a burn and finishes with a slight citrus sort of a brandy flavor. I might like this one better just because it doesn’t have so much of a corn liquor accent. Nice aroma of sweet caramel, vanilla and almond. Very delicious sipper where all these flavors come out along with a little nuttiness. I am a Papas buff, have removed several bottles existence from planet Earth. 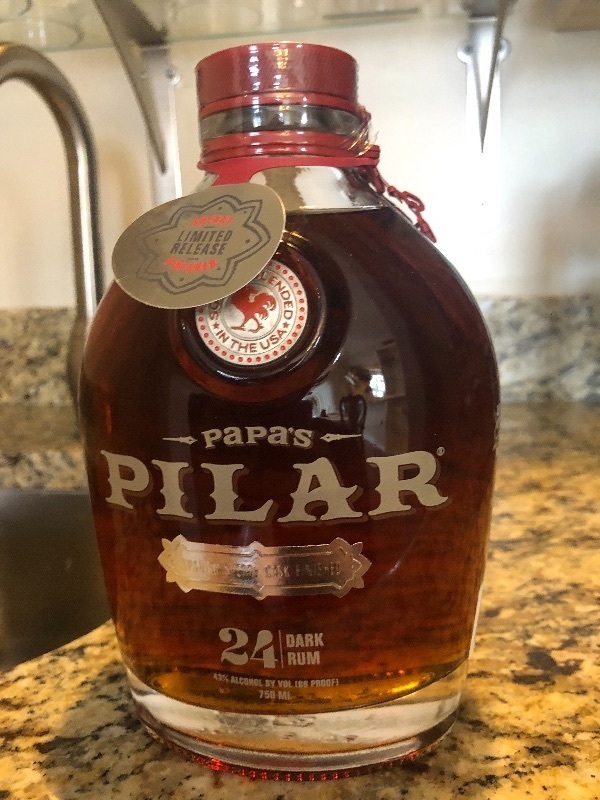 Picked up a bottle of the Sherry Cask in hopes of some new deliciousness........... and in a blind taste test between the original Papas, the Papas whiskey finish and the Sherry Finish $49.00 the previous two beat the daylights out of it. Not impressed still good but just not great. 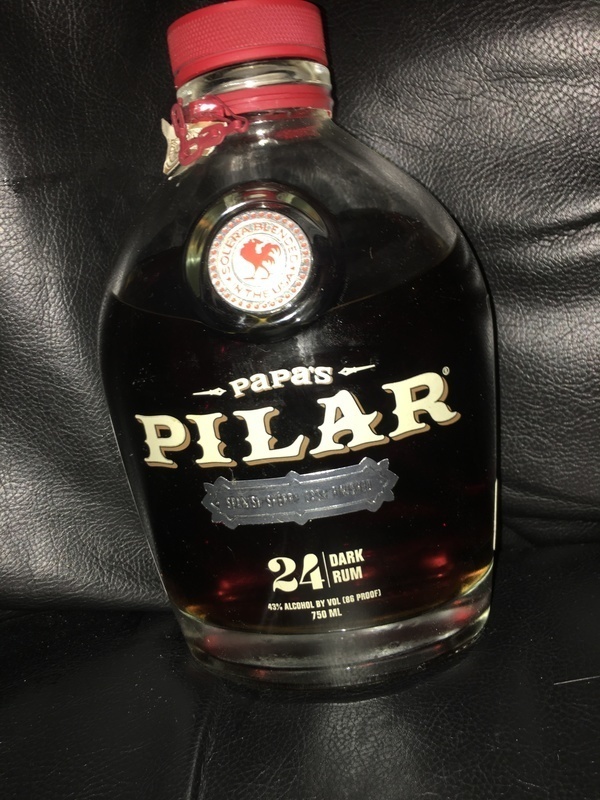 Sugar 24 GPL: This version of the Pilar is a bit redder in colour and has a definite smell and taste of almonds or walnuts. The Sherry cask aroma and taste is in the background. The maple flavour detected in the original blend is toned down a bit and the oak and spice is kicked up a notch in this blend. I still prefer the original to this version, but this one is a close second. I rated the original a 9 and this one is an 8.5. I really enjoyed the Papas Dark and thought I would give this a try. The Sherry cask is a very nice touch. I would say better but different. Will be adding this to my ongoing collection.